Like a skilled archer, we seek to consistently excel at identifying and successfully targeting the best return opportunities in our Archer Portfolio. This portfolio is engineered with the goal of generating superior long-term performance by investing in a concentrated portfolio of stocks. We employ proprietary quantitative methodologies (see Models below) to select stocks that we expect will generate superior growth for your investment account. Our Archer Portfolio targets stocks that we believe are undervalued based on key metrics and will go on to outperform other investments including, but not limited to other stocks. Some clients may invest only in an Archer Portfolio. But for most, a concentrated Archer Portfolio is an excellent complement to your diversified Citadel Portfolio.  Diversification is important and our Alhambra Portfolio provides substantial diversification across stocks, bonds, commodities and real estate, as well as across many different types of stocks. You can learn more about the research behind our Archer Portfolios process in our Methodology section, including the benefits of value and momentum methodologies and performance modeling we performed to develop our Archer quantitative screens. This strategy is our core equity strategy. The simple idea is to buy the stocks of companies that are profitable and exhibiting momentum of earnings at low valuations. Our research on dividend strategies focuses on the use of dividend yield, cash flow and value criteria to construct a portfolio. Our Earnings Revision strategy is a more growth-oriented strategy than our other portfolios, as the value metrics applied in the initial ranking system are more growth-focused. Our Archer Portfolios are run using a quantitative methodology that seeks to achieve superior long-term returns versus other strategies by selectively targeting and investing in a concentrated portfolio of approximately 15-25 stocks. Archer Portfolios use a rules-based system that employs quantitative stock screens. We think this provides a useful layer of diversification by being independent of our research and analysis. We also think there is a role for concentration in our client’s investment strategies, as picking the best stocks in our screens, resulting in potentially stronger performance, outweighs the risk inherent in picking fewer stocks.